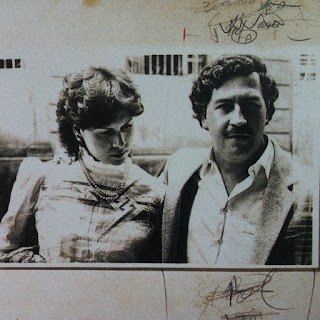 I got this photo of Pablo Escobar and Maria Victoria from The Paris Review's Instagram webpage. In 1976, the 26-year-old famous Colombian drug lord married Maria when she was 15-years-old. The ephebophile and the nymphet had two children.